يحظى فندق Cairns Central YHA Hostel بمكان متميز في محور كيرنز سياحة, مطاعم, شواطئ في منطقة كارينس سيتى سنتر الفاتنة. يسهل الوصول إلى هذا الفندق ذو 3.5 نجوم من المطار، فهو يبعد عنه مسافة 7.5 Km فقط. سوف يعشق النزلاء موقع هذا الفندق، فهو قريب من أهم المعالم السياحية في المدينة كمثل Bones and Jones, Cairns Medical Centre, Cairns Central Medical Centre . ببساطة كل الخدمات وأساليب الضيافة التي تشتهر بها YHA Australia Hostels تجعلك تشعر وكأنك في بيتك. يمكن لضيوف الفندق الاستمتاع بالميزات التالية على أرض الفندق: مكتب الاستقبال على مدار الساعة, مرافق مخصصة لذوي الاحتياجات الخاصة, تسجيل وصول/خروج سريع, تخزين الأمتعة, واي فاي في المناطق العامة . في الفندق غرف نوم يتجاوز عددها 55، كلها مجهزة بعناية وجمال وبعضها مزود بـ اتصال لاسلكي بالإنترنت, غرف لغير المدخنين, مكيف هواء, تدفئة, مكتب. يقدم الفندق مجموعة رائعة من الخدمات كمثل حوض استحمام ساخن, مسار جولف - ضمن 3 كم, حمام سباحة خارجي, سبا, حديقة، لجعل إقامتك تجربة لا تنسى. 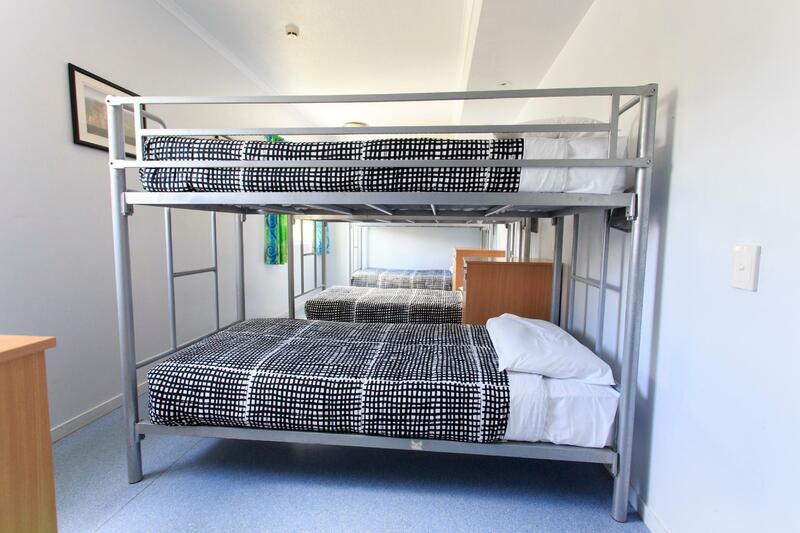 مهما كانت أسبابك لزيارة كيرنز، فإن Cairns Central YHA Hostel هو الخيار الأفضل لإقامة مثيرة وممتعة. 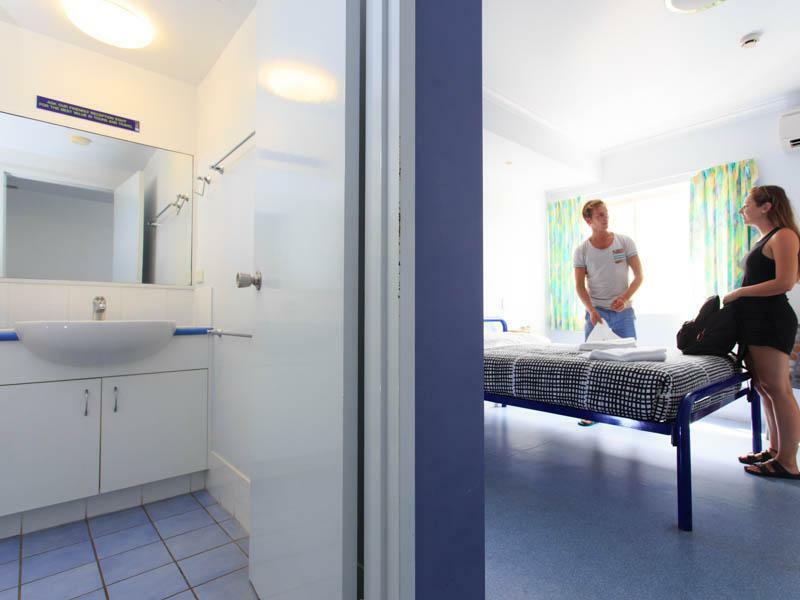 Beds are uncomfortable, linen provided was poor, facilities are not well maintained, common areas were not kept clean. I would not stay at this hostel again. On hindsight there were many other options which I should have considered as an alternative. Stayed in single room. Room is simple neat and ok for one person, close to facilities, convenient to stay. Hostel is just in front of big shopping center and close to main road, great location to go anywhere. We really enjoyed our time at this hostel. Good facilities and some nice perks such as free pancakes, movie nights with free popcorn etc. There's lots of covered spaces to chill outside if you're unlucky with the weather and there are a couple of hammocks too. What we really liked was the cleanliness, such as loads of clean tea towels and new sponges every day which was great. Modern showers and toilets and good location too. The pool and play tables are in the center of all rooms. Therefore after 10pm, people still hang out and drink there late. Therefore not possibe to have a nice sleep if you need to wake up early. Definitely backpackers choice. You get 2 slices of pancakes for breakfast and they shouldn't call it "breakfast included". 1 bed in a small box. I felt the price is rather expensive for what you get. This is pretty much low end. I was totally satisfied that there is an air conditional in room. Also I think staff always try to keep clean bathroom. I stayed at The YHA with my family. There was a female receptionist who spoke Japanese. She was very friendly and helped us a lot. She continued to wave until we disappeared completely from view when we left the hostel. The other receptionists were also very friendly. You can eat pancakes for breakfast for free. Our family room was simple and clean, spacious for five people. The only problem for us was there weren't any elevators. It was very hard for us to carry our five suitcases upstairs. Very pleased we chose to stay here. The location is perfect. just a few minutes walk to the pier where you can book in for your excursions to the Great Barrier Reef. The shops, bars and restaurants are also within a few minutes walk as well as the relaxing ‘free’ esplanade. The staff here are extremely helpful and very friendly. The hotel is clean and well looked after. 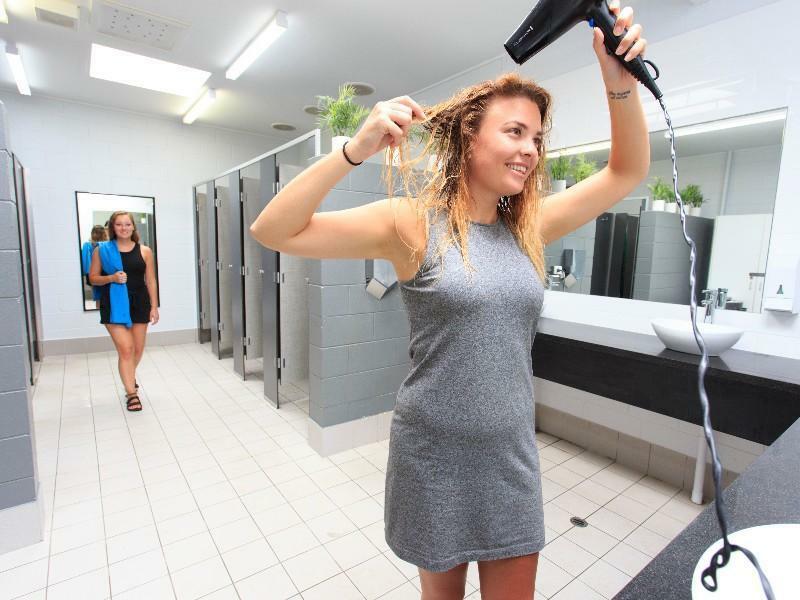 The rooms are clean and tidy, the communal bathrooms are clean and of good standard. The facilities for cooking are also of good standard. I have no negatives to report about the hotel and would definetly stay here again. I stayed one night at the YHA and was impressed with the staff and the facilities. Improved wifi would be nice but for the price I wouldnt expect quality wifi in rooms. 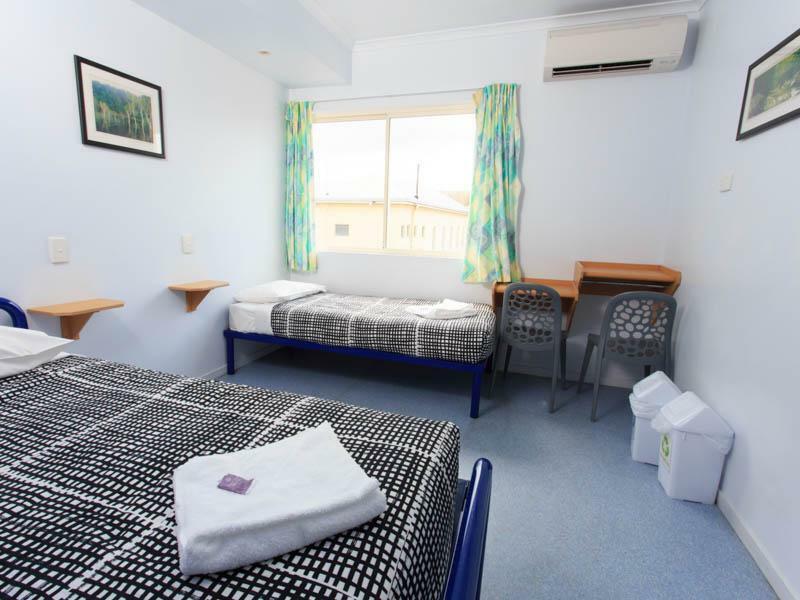 There is everything you need as a traveller, a good kitchen for self catering and simple but adequate rooms; this is a good, well located hostel, although not a 4 star hotel. I would happily stay here again in the future. Free transport from the airport to YHA was a bonus - Pubs and food are within a 10 min walk so all good there !! 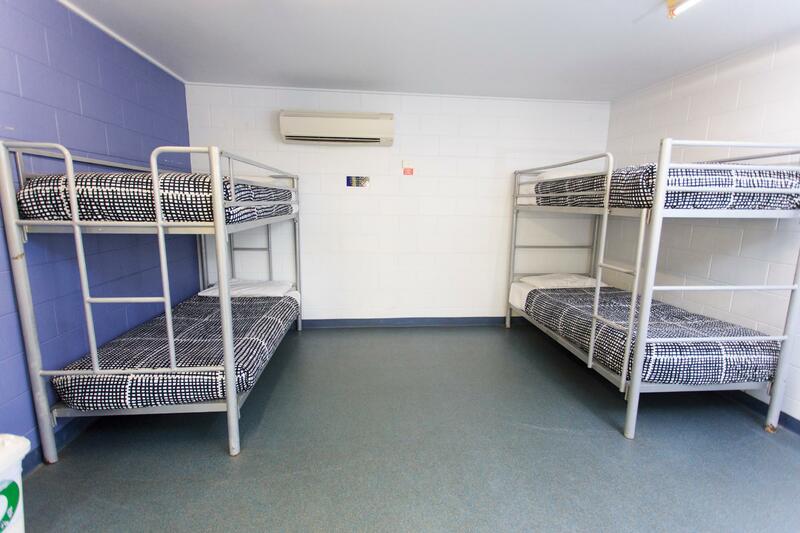 Air con rooms (selected a single - not bunk room) nice !! Id def stay there again if I find my self travelling through Cairns ! We thoroughly enjoyed the night. Quiet, clean and near to train station. A message for cairns central shopping centre. VERY DUFFICULT FOR ELDERLY PEOPLE TO WALK A LONG WAY AROUND THE SHOPPING CENTRE TO ACCESS TRAIN STATION WHEN WE HAD NO IDEA YOU WOULD BE SHUT. MANY UNHAPPY PASSENGERS TALKING AT STATION. Accommodation in Cairns was extremely scarce due to the eclipse and the YHA was full, but Agoda double booked us! Even though it was not the YHA's problem, the staff went out of their way to ensure that we had a place to stay for the duration of our booking. One staff member stayed after her shift to continue calling around to other hostels and in the end they emptied their reading room and brought in beds so we would have a place to stay! We were very impressed. The hostel was very clean and well looked after and the pool was also a highlight. 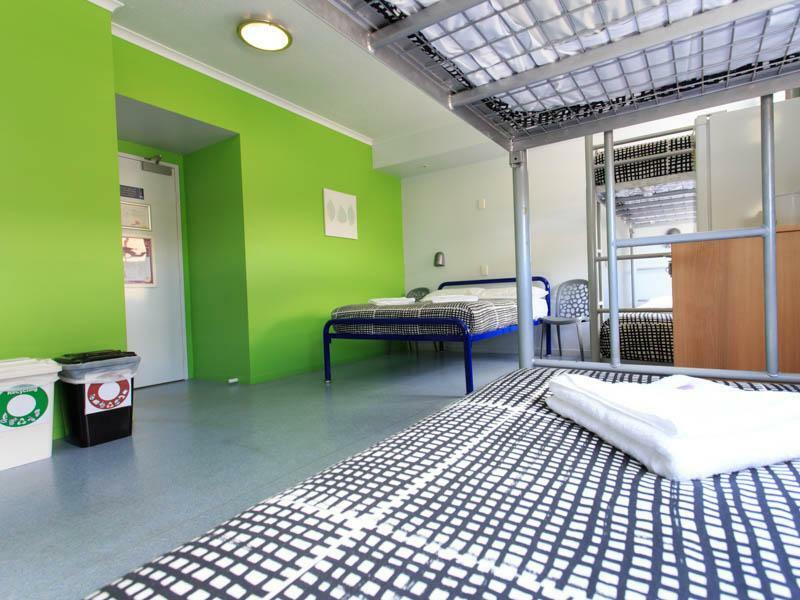 great yha in cairns. 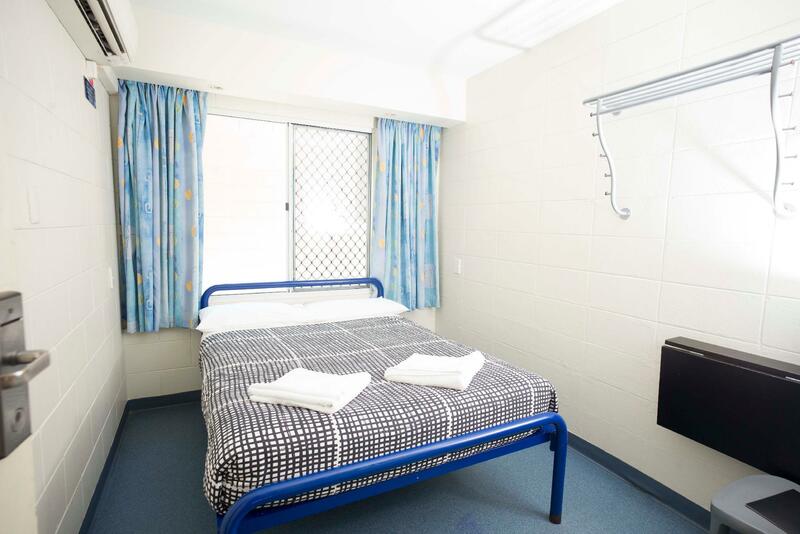 the location is very good because this yha is located so close to the cairns shopping centre. also, the room is clean and soap and towels are equipped. and all staffs are quite trained. i could communicate with them comfortably. so, i was satisfied with them very much. 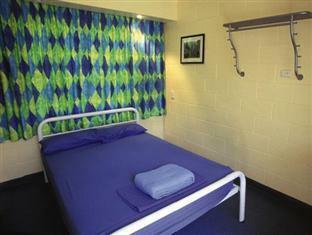 i would like to stay this yha when i go to cairns next time. 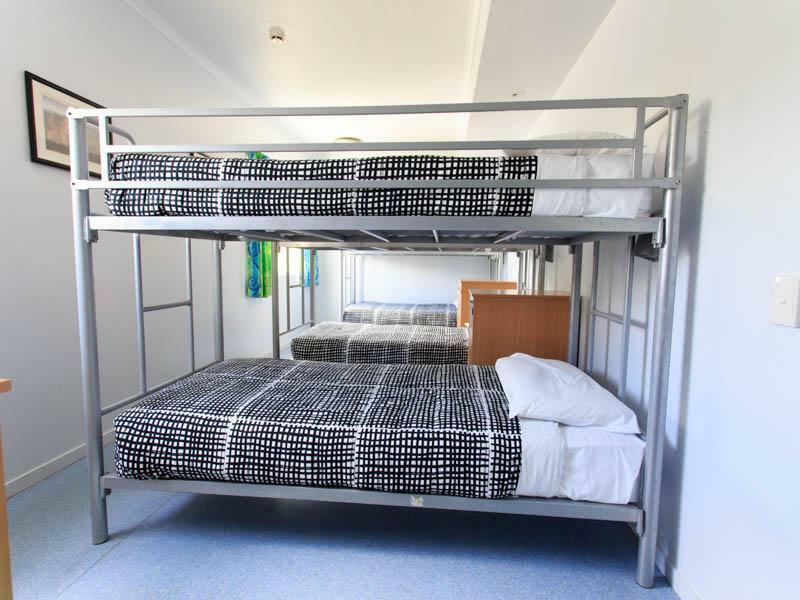 fair standard as a hostel with great location and staff. yet what disappointed me was that there was only one electric socket located next to sb's bed in the room. that means you will be disturbing sb's sleep whenever you want to plug/unplug your stuff from it during the night. there was no review for this backpacker, but i saw its pics and my instinct just told me this would be a good place to stay. and it really is! the room is very clean, especially the middle yard is sooooo relaxing and beautiful. and if you r staying longer, myer is just across the road. u can buy food there and make yourself a wonderful dinner in yha's energetic kitchen! I feel dangerous in this stay，Because I was threatened by two women when I use the toilet at midnight. No anyone can help me. And I feel that the reception staff is not friendly and impatient ,because my English is not good . I won't stay again. Just awesome. We enjoyed our stay and it was a good stay. Good value for money, clean room, near the mall.